We buy cars at DamagedCars.com? Hi. Our name is DamagedCars.com. And, we buy cars. I guess that’s pretty obvious. With a name like DamagedCars.com, what else would we buy? We aren’t Damaged Patio Furniture or Damaged TVs, after all. We pay money for your car. We buy cars. But, there a lot of places that buy cars. So, what makes us special? We buy cars in less-than-perfect condition all over the United States. If you have a wrecked car, a damaged car, a junk car, a broken-down car, a salvage car or just a car nearing the end of its useful life on the road, we’ll buy it. Before we buy it, we’ll give you a guaranteed offer. We don’t charge any fees, towing or otherwise. We don’t perform any last-second physical inspections of the car, apart from a quick look to make sure the car we’re picking up with the same car. The amount we offer for your vehicle is the amount on the check we hand you when we pick up your car and title. How do we buy cars? The DamagedCars.com process is simple, guaranteed and quick. Call us at 1-877-877-7911 or click the “Get an Offer” button at the top to give us some basic info about your car; year, make, model, mileage, condition and whatnot. 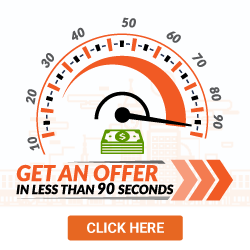 Sometimes, we can give you an instant offer online or over the phone. But, for other cars, we may have to get a bit more details about your car. Sending us photos will also help us give you the best, guaranteed offer. After we verify ownership (We can’t buy a car if you don’t own the car in your name), we’ll schedule a pickup with one of our local service providers. They’ll get the car and the title. You get the check. Done deal! Like we said, we’re DamagedCars.com and we buy cars in less-than-perfect condition, nationwide.